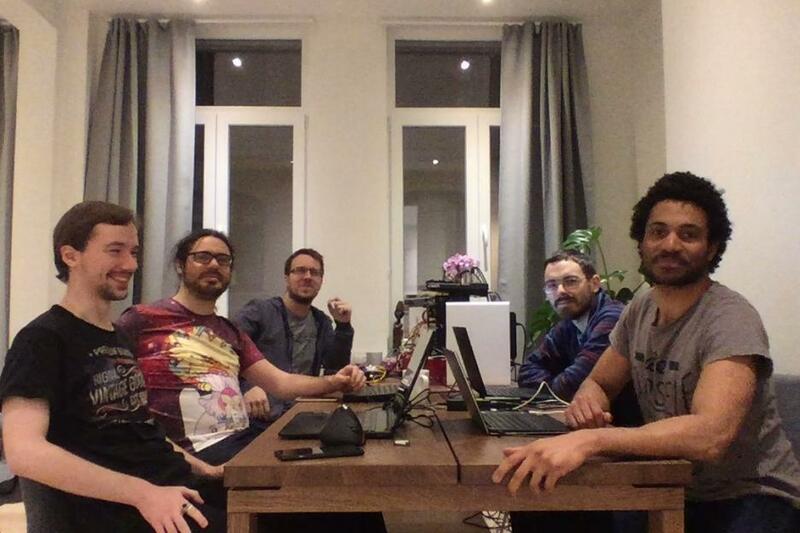 For the last 3 days several of the Kivy Core Developers gathered in Brussels, Belgium for the first ever core developer hackathon. Not only is this the first time we’ve gathered to work on Kivy framework issues, but for most of us the first time we’ve ever met - even after years of collaboration! From left to right the attendees are Peter Badida (KeyWeeUsr), Gabriel Pettier (tshirtman), Mathieu Virbel (tito), Alexander Taylor (inclement) and Andre Miras (AndreMiras). 55 closed issues and 36 merged pull requests across all Kivy projects, specifically targeting long standing bugs and the most important current issues. A full update of buildozer to work well with the latest SDK, NDK and other dependencies for Android development. New release to follow! Rapid progress on ncis, a new remote inspector/debugger for all types of Python application. Many improvements to the python-for-android continuous integration, and some major bugfixes for stability with Python 3 and the latest toolchain. Preliminary 0.7.0 release already available via PyPI and buildozer, more to follow. Extensive cleanup and improvements for PyJNIus. A further ~170 closed python-for-android issues and ~110 buildozer issues, as a general clean up of stale and outdated reports to focus on the ones that really matter. For the next two days, the same team will be attending FOSDEM 2019. Let us know by discord or other communication if you’d like to say hello!